The en bloc fever rages on into the new year as two residential developments in the prime District 9 of Singapore – Cairnhill Mansions & Riviera Point has been sold via collective sales. 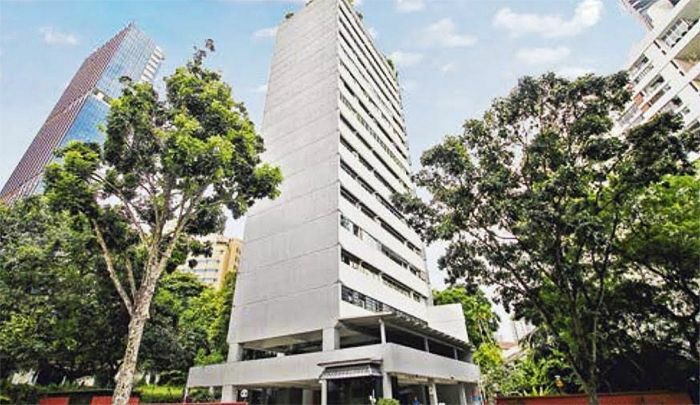 Cairnhill Mansions, situated along Cairnhill Road was sold to Low Keng Huat (a listed developer in Singapore) for a $362 million and Riviera Point, situated along River Valley Road was sold to a subsidiary firm (Macly Riviera) of real estate development company Macly Group for $72 million. The Cairnhill Mansions en bloc process was launched back in October 2017 with the asking price of $362 million (or $2,311 psf ppr). The 18-storey Cairnhill Mansions comprises only 61 apartment units and has a total site area of around 43,103 square feet. The key selling point of Cairnhill Mansions would be its location, according to property experts. The site is nestled in a private and tranquil enclave within the high-end district and yet residents are minutes’ away from the Orchard Road shopping belt, and just within 400 metres to Newton MRT Station. Low Keng Huat mentioned that the future new launch condo at Cairnhill could potentially yield around 200 private homes, with the projected gross floor area (GFA) of approximately 156,581 square feet. On the other hand, it was Riviera Point’s 4th attempt at an en bloc sale within the last 11 years. It currently sits on a relatively small land area of around 14,579 square feet and has a 2.8 gross plot ratio. Riviera Point is situated around 600 metres to the upcoming Great World MRT station and within close proximity to the latest new launch – Martin Modern by GuocoLand.